We are just a young couple, having tremendous fun. Making magical tasty things happen from inside our little horse box kitchen. The trailer provides us with opportunities to go out and have an adventure every day, new exciting shows, meeting new people, road testing new food ideas. Popping up at events and food scenes across the county and beyond. 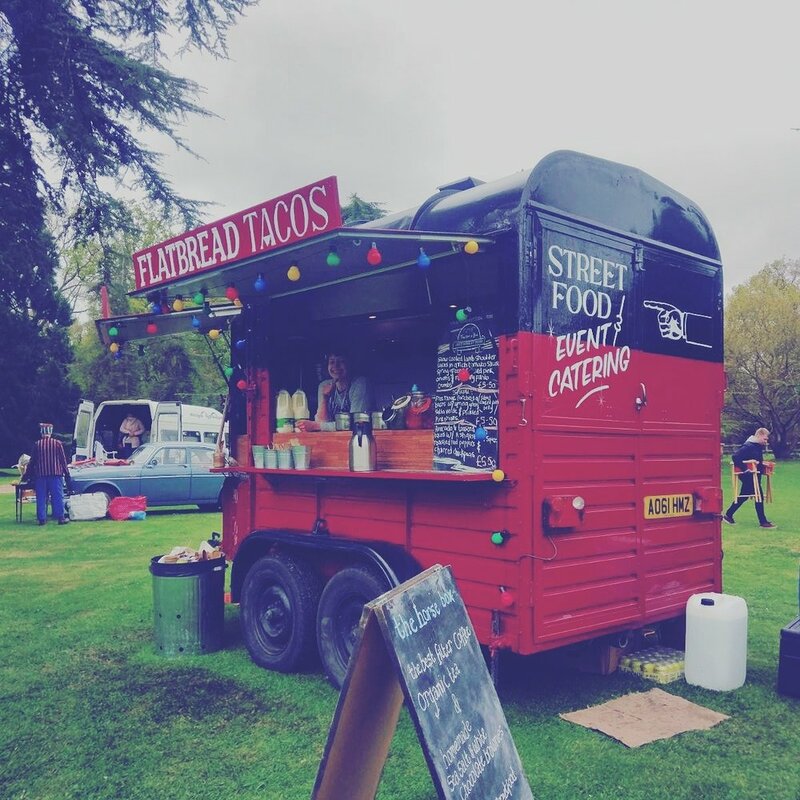 In The Horse Box, our speciality focus is handcrafted, organic flatbread tacos. We just love making these beautiful tacos that have a satisfyingly good texture thanks to our special recipe, using organic yoghurt. They provide the perfect set up for whatever our seasonal menu is offering. We like to create dishes using as much local and in season produce as possible, supporting our local farmers and businesses is very important to us and besides that, Norfolk offers such an excellent array of quality ingredients, it's a no brainer! Looking for catering for your Weddings/Parties/Street Food/Corporate Events and need delicious food for 50+ people? Whatever the event, we'll give it a whirl. If you would like more info on booking us, the contact details are up on the 'contact us' page so just drop us a line. To check out our upcoming events, pop on over to our instagram or facebook pages. Link at the bottom of the page.